“In it for life”, the slogan of New Zealand’s national lifeguard service Surf Life Saving, truly represents the commitment to lifeguarding in Kiwi culture, and the ubiquity of it across the nation. Founded in Australia in 1906, Surf Life Saving made the short journey to New Zealand by 1910. The program was first established in Wellington, at Lyall Bay, and Christchurch at New Brighton Beach on the South Island. The organization quickly spread across the country with new clubs opening every year. Today, a century after its establishment in New Zealand, Surf Life Savings has 74 clubs, an overall membership of 18,723, and nearly 5,000 active lifeguards. In 2017 alone, Surf Life Saving members logged 223,000 patrol hours and conducted nearly 1,800 rescues and assists. One of the most incredible facts about the organization is that it is led and run by volunteers of all kinds. In the early days of Surf Life Savings the organization was run almost exclusively run by men. The iconic image of the lifeguard was the bronzed, muscle coated man in a red cap and yellow suit. But as the World War’s pulled the men out of the country, the women of the nation stepped up to fill the need. Despite demonstrating equal ability, once the men returned the women were relegated back to the club house. As a result, ladies only life savings clubs were created, offering a space for women to once again prove themselves. As of 2017, the organization is 48% women, with females making up the majority of all the youth age groups. Surf Life Savings also recruits people from all walks of life; from farmers to fisherman, to lawyers and doctors, there are no boundaries between the flags. Even Olympians volunteer their time with the organization, included the famous Kiwi paddler Ian Ferguson, who is a long time member of the Surf Life Saving. In addition, recent years have seen an increase in the participation of Maori, the Indigenous people of New Zealand, in the organization. Maori teams are increasingly entering competitions and patrolling beaches in their communities. In an organization as deeply rooted as this, it should come as no surprise that recruitment happens at a young age. The Nippers program, a program designed around education and recreation, welcomes recruits as young as 4 years olds. Children participate in training and activities, learning about beach safety in the process. After working through the ranks of nipper and rookie, some become official lifeguards as young as 14 years old. Many of these folks grow up within the organization, and 30, 40, even 50 years of service is not uncommon. The organization’s vision is “saving lives in our communities while developing leaders and champions.” Their driving values include credibility, passion and aspiration. 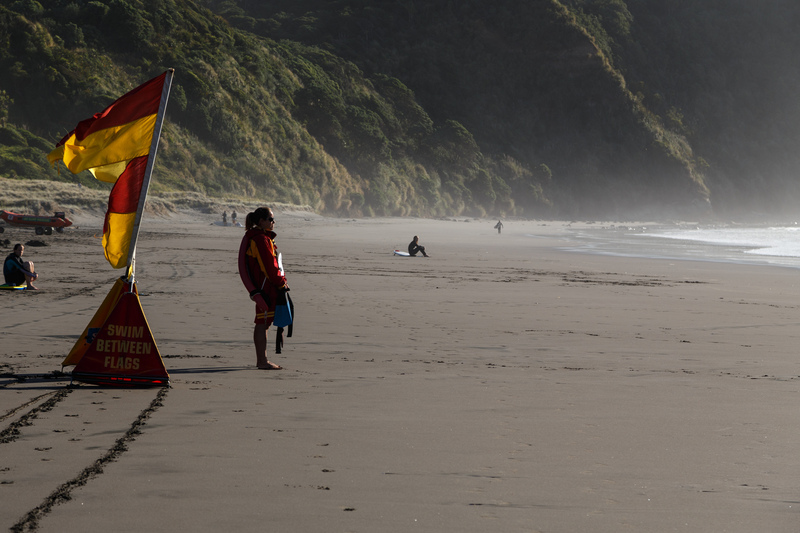 There is a true sense of pride that comes with lifeguarding in New Zealand. Surf Life Saving aims to cultivate this in young people by instilling a set of values that will help shape them into not only productive lifeguards, but citizens as well. 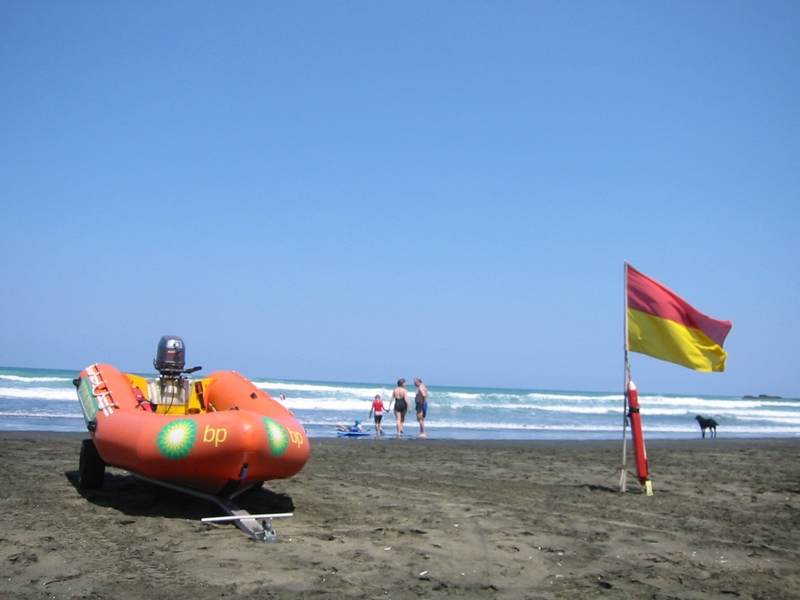 Lifeguarding is also a vital and imperative service in New Zealand, and plays an integral role in Kiwi culture. Drowning is a everyday threat in New Zealand. The island nation has over 15,000 km (9320 mi) of coastline and a wide array of beaches with strong rip currents, big tides, and large swells. In fact, New Zealand has the third highest rate of drowning amongst OECD countries. In 2017, there were 88 preventable drowning deaths in New Zealand; twice the amount of their Surf Life Saving neighbours Australia. Surf Life Saving provides an essential service that works to address statistics like these, helping protect the safety of thousands of water-loving Kiwi’s in the process. A lot of their success in saving lives has come from staying at the cutting edge of life saving technology. 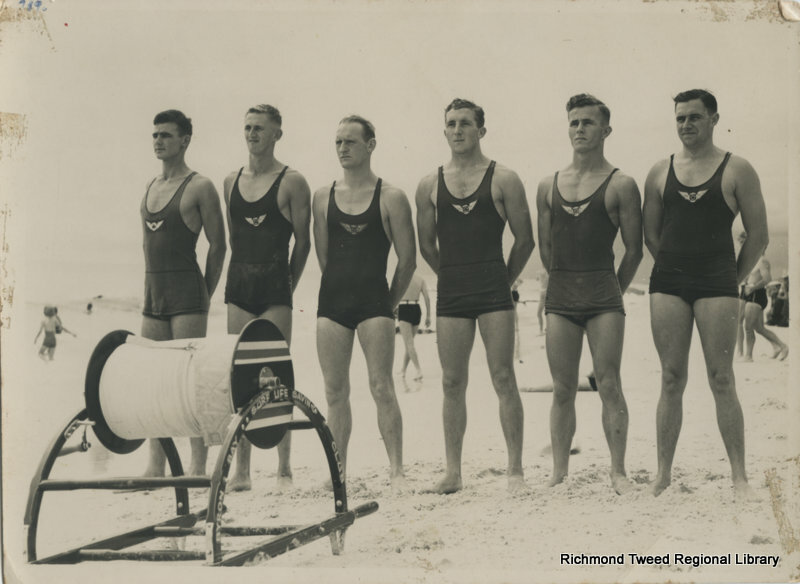 In the early days of surf life saving, lifeguards largely relied on the reel and wench. This device was anchored to the rescuer, keeping the rescuer on shore and endangering them in the process. A major shift came in the 1970’s however, when the use of swimming gear like neoprene suits and fins, as well as flotation devices, motor boats and even helicopters, allowed lifeguards to be much more mobile and effective. Today, many of these same technologies are still used, in addition to the popular inflatable rescue boat (IRB), a type of watercraft designed for handling rough seas and saving lives. Beyond patrolling beaches, Surf Life Saving also actively promotes and maintains an active sporting culture. The sporting side of lifeguarding emerged in the early days of the organization when newly founded clubs were seeking out a way to hold friendly competition among themselves. This turned the act of lifeguarding into a sport, and that tradition has been maintained since, gaining global interest. Since 1986, the Lifesaving World Championships occur every two years, with teams from across Europe, North America, South Africa, New Zealand and Australia competing. The 2018 event is set to take place in Adelaide, Australia. The sport of lifesaving includes pool events like obstacle swims and manikin carries; ocean events like beach sprints, board races and surf ski relays; and rescue simulation events done both by swimming and with IRB’s. For most events, individual and teams events take place, across various age categories. The New Zealand team, known as the Black Fins, are consistently one of the top teams internationally, winning the 2014 championship in Montpellier, France. To see the sport of surf life saving in action, click here. 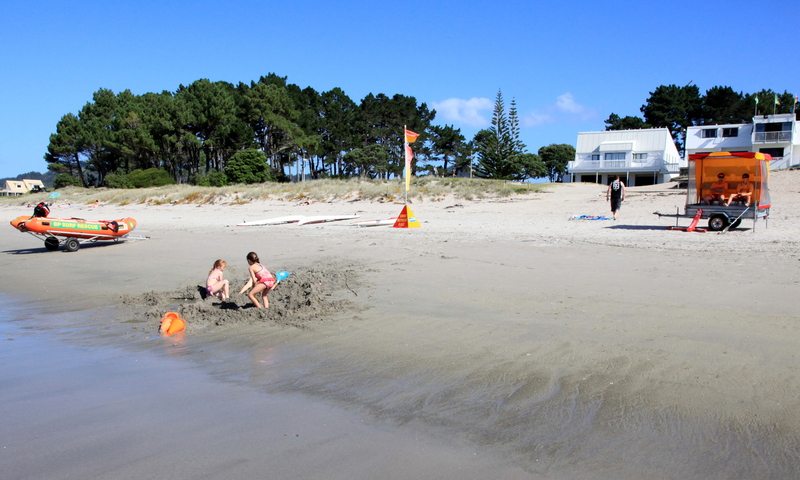 Find some of the New Zealand beaches monitored by Surf Life Saving in Swim Guide here.